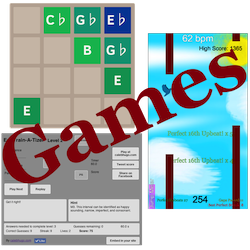 These musical games are a fun and effective tools for learning useful concepts and skills. This is an extremely challenging classical piano solo that requires the pianist to have complete right and left hand independence in order to perform it with the passion and freedom that it calls for. The rapid independent lines coupled with the sustain pedal being employed throughout entire sections of the piece creates an enormous sound wall that peaks in volume at the climax of the solo and dies away naturally without dampening the strings. This of course has the danger of any wrong notes being very obvious for several seconds during these sections. Taking all of these things into account, this classical piano solo is clearly written for a very accomplished pianist. As I was writing this piece I could never quite decide which emotion I was attempting to capture. Whatever I had in mind, it was an emotion that would bring a person to tears. My goal has ended up being for me to convince the listener to empathize with another person’s suffering and unspeakable joy simultaneously. Some may view this concept as silly and far from practical, but this is the emotion that I think of when I see something incredible to come in the midst of a difficult situation. The adversity must take place in order for joy to result, but terrific end or not it still hurts in the meantime. The journey is beautiful because of its result. Special thanks to Cornerstone University for allowing me to use their 6 foot yamaha grand player piano. Site design by Free Mode. - Powered byWordPress.